"Everything from the moment we arrived in Africa until the day we left was perfect. The accommodations were spectacular, the staff were all helpful and friendly, and the animals all cooperated – even the two impala who sacrificed themselves so we could witness two successful wild dog hunting expeditions, as well as a trip to a dog den where the puppies were being nurtured. It was an incredible trip for all of us ranging in age from 6 to 70.  We look forward to traveling with Homanns Africa again!" John has the special ability to capture and share his passion and love for Africa through wildlife painting. The connection to each piece, along with his dedication to the protection and preservation of the wildlife and environment is truly spectacular. He is a true advocate for the protection and preservation of African wildlife and land, John Banovich, brings the beauty of Africa to enthusiasts worldwide through his exceptional pieces of wildlife art. I wouldn’t have wanted to be shown Africa by anyone besides John. Having the opportunity to see the land and wildlife with my family by someone so passionate was a once-in-a-lifetime experience that I plan on doing every year. To have a painting of the experience makes the memory even more unforgettable. Bob & I want to thank you for arranging all the travel details for our recent trip. Everything was truly amazing & unforgettable. We have been talking nonstop since we arrived home & sharing each & every one of our 4,000+ photos! All went smoothly & was effortless. Your attention to detail was something that we have never experienced in all of our travels. Thank you again! Mark & Maria Homann put together a trip of a lifetime for us and 2 other couples in our trip to Rwanda and Tanzania. The goal for us was visiting the gorillas in Rwanda and then transferring to Lake Tanganyika to see the chimpanzees up close and personal. The trip went as smoothly and seemlessly as possible. No stress as everything went like clockwork. Mark led us every step of the way and provided local guides as well who gave us perfect local perspectives to the trip. The interactions with the animals were, of course, the most important part of the trip and we were not disappointed. The insights provided by all our guides left no stone unturned for a complete experience. We will always remember this wonderful journey. We recently returned from our family holiday in Tanzania. We used Mark to assist us in planning our itinerary. Mark was extremely patient as we needed several phone calls before we finalized our itinerary. Mark made himself constantly available even when on safari. As a result of Mark’s expertise, our family experienced a trip of a lifetime. We spent 8 indescribable days on safari during the annual migration where we had the privilege of being guided by the most wonderful people (including a guide who is from the Maasai tribe). Each of us were in awe of the daily adventures that we got to experience . As an added bonus, our accommodations and meals were first rate. Anyone interested in a bucket list trip to Africa should avail themselves of Mark’s expertise and hospitality. I assure you that you will rewarded for doing so. "We had the great fortune of going on Safari with Homann’s Africa in 2014, and it was a trip of a lifetime. Every single expectation we had was far exceeded, and this goes for the actual safari, the accommodations, the education we received, and the overall care and attention to detail that was provided by the Homann’s. As we were safari novices, Mark listened to what we were hoping to achieve out of our adventure and crafted a safari that was beyond perfect for us. He was a wealth of information as we prepared for the safari, during the actual trip, and also as follow-ups after we returned home. Never before have we been treated with such kindness and felt such wonder and awe. Each and every day, we thought it couldn’t get any better, and yet it did. Being able to see amazing sights virtually untouched by man is amazing on its own, but then witnessing animals interacting in their natural habitat leaves you breathless. The Homann’s even arranged for a meeting with the Maasai tribe where we mingled with the village – all the way from the tribal leader to the young children. We have never been so humbled after spending time with them, seeing their daily life, innocence and joy. The entire experience was truly life-changing, and we are forever grateful to the Homann’s for giving us such an extraordinary experience. It honestly is a journey that we look back on daily as one of the highlights of our lives." My family and I went on a guided trip that Mark Homann arranged through Homann Africa. There we 9 of us traveling, ranging in age from 13 to 78 years old. The professional care and attention that we received was far beyond our expectations. Our guide, Alfred, was extremely knowledgeable in everything, from the song of a bird to how fast a Cheetah can run. He knew the answer to everything we asked and had a way of teaching us that memorized everyone in the group! Each driver/guide we experienced were extremely professional and knowledgeable. Each day we looked forward to a new adventure and learning experience. We had so many memorable moments and many laughs. Our pictures were amazing and we look at them often to remember the most incredible trip we had been on. We have never been treated the way we were on Homan Adventures. We were spoiled! The accommodations were extraordinary. We were very comfortable in each place we stayed and the food was better each place we traveled to. They were very helpful and accommodating to special dietary requests and even had exceptional food for the very picky eater! Our overall experience was outstanding and each one of us hopes to travel with Homann Africa again. Absolutely everything was taken care of for us. From the moment we talked to Mark, the months leading up to our trip and throughout our trip. We were all prepared because of this and we understood each day what we would be doing. We stay in touch with our guide Alfred and Mark Homann regularly. In December of 2014, we took the most amazing trip to Tanzania. A trip to top them all. Everything was organized through Mark & Maria and Mark guided us personally on the trip. We stayed in 3 camps starting with the most rugged and ending with the most luxurious. It's hard to use the word rugged when talking about the gorgeous tented camps but at our first camp (which was a mobile tented camp) you do not have running water and you're allowed a certain closeness to the wilderness and vastness of Africa that you may not feel quite as much in the other camps. Magical, breathtaking, awe-inspiring, humbling, enchanting, moving... These are just a few words that come to mind when one thinks of a truly unforgettable African experience. And the most important element of a truly unforgettable African experience is not the camp, the food, the wildlife, the weather, but the guide. I'm not saying that all the other things aren't important but with the right guide, everything else inevitably falls into place. We can all say without question that it was the most wonderful trip of our lives. Many of the things that made this trip so wonderful are hard to describe because they just don't translate into writing but we all shed tears upon our departure and came home feeling closer than ever before. And lastly the quiet humor, politeness, knowledge, jokes, helpfulness and general wonderfulness of our guide, Mark Homann.